Blondie or Brownie: What’s the Difference? If you’re given a tray of blondies and brownies, which one would you choose? Blondies and brownies – we hear people compare the two quite frequently. It’s said that blondies are the opposite of brownies and the perfect choice for people who want the chewy, fudgy texture and delicious taste of brownies, minus the chocolate or cocoa. But what really makes blondies different from brownies? Let’s find out. Technically, blondies and brownies are both classified as ‘cookie bars’. That is, they are softer than cookies, but tougher than a cake. Both of these delicious confections are prepared in almost the same way, and baked, cut and presented in the same manner. But you’ll know the difference just by looking at the results – blondies are paler in colour while brownies have that familiar sumptuous brown colour that comes from its magic ingredient – chocolate! Blondies are considered the opposite of brownies mostly because the former are vanilla-based and the latter is chocolate-based. While vanilla isn’t really the ‘opposite’ of chocolate, these two popular flavours have always been treated as ‘rivals’. For instance, if you don’t like chocolate, you’d go for vanilla. And if you’re not a fan of vanilla, you’d opt for chocolate. Blondies share similar ingredients to brownies. They both call for flour, sugar, butter and eggs. Blondie recipes vary as well. Like brownies, they can have many other flavourful additions such pecans, hazelnuts, walnuts and other kinds of nut. And because they don’t contain cocoa or chocolate, there are many other sweet additions that can be incorporated in the traditional recipe like coconut, toffee, dried fruit, and even chunked candies. Blondies may have chocolate chips too, and they are often served with sundae, and topped with caramel sauce. Blondies have that butterscotch flavour, which typically comes from the brown sugar. The caramel-like taste of blondies is perhaps the reason why they are a very popular. While brownies have been, and perhaps will always be, more popular than blondies, these vanilla-based bars are a must-try, and are really delish if you’ve got a good recipe. Now, let’s go back to the question. If you are served with a tray of blondies and brownies, which one would you get? Me? I’d go for brownies – how about you? Can’t decide which brownie to bake? Maybe you can create a cross. Use a basic blondie recipe but add dark chocolate chips in the batter. Then perhaps drizzle the bars with some more chocolate sauce. 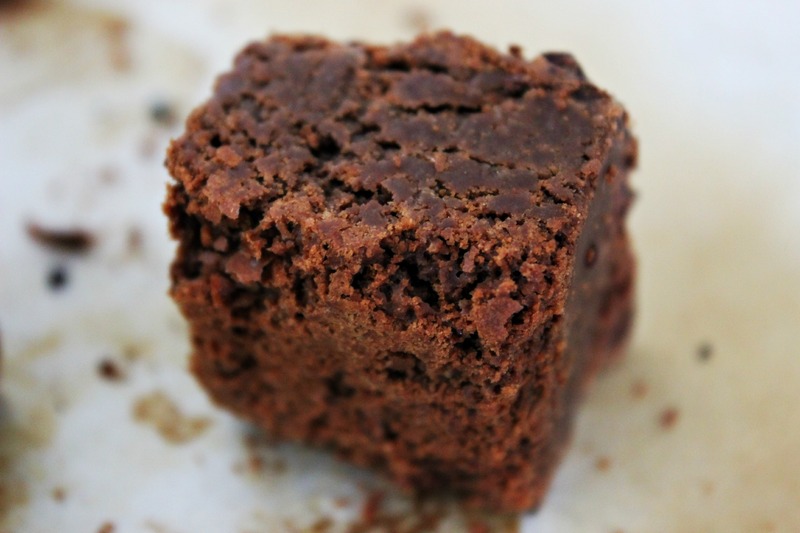 Either way check out our brownie recipe baking tips before you get started. If you’re looking for a chewy and irresistibly sweet treat, both blondies and brownies are sure to satisfy your craving. And no, there’s no special occasion required! What’s your vote – Brownie or Blondie? So difficult to choose! I’ll have to say brownie although I don’t mind a blondie every now and then. Hmm…I’m a chocolate lover so I’ll go for brownies!